12 oz. smooth, two sided matte blockout banner material. Delivers similar quality printing results on both sides. Best suited for indoor applications where complete banner opacity is needed. With its unique low curl formula and lay-flat appearance, it is perfect for pop-up or scrolling banner stands, tradeshow and events graphics, POP and any hanging banner or sign. 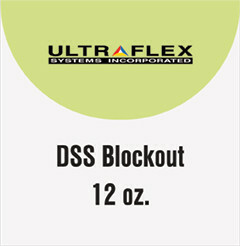 Compatible with solvent UV curable printers and latex printers.